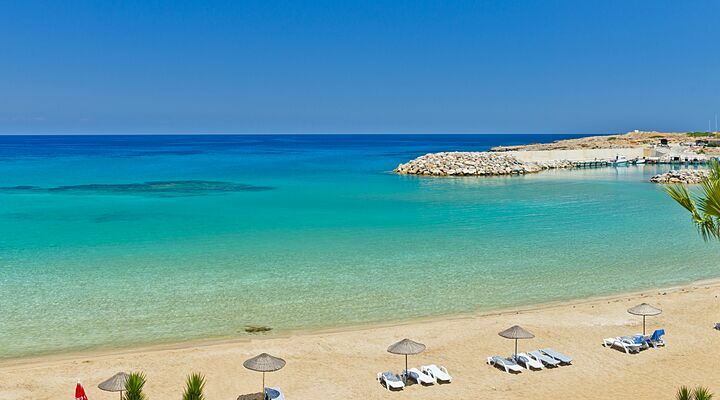 7 Nights from £449 inc Flights, Hotel & VIP Transfers - £135 OFF! 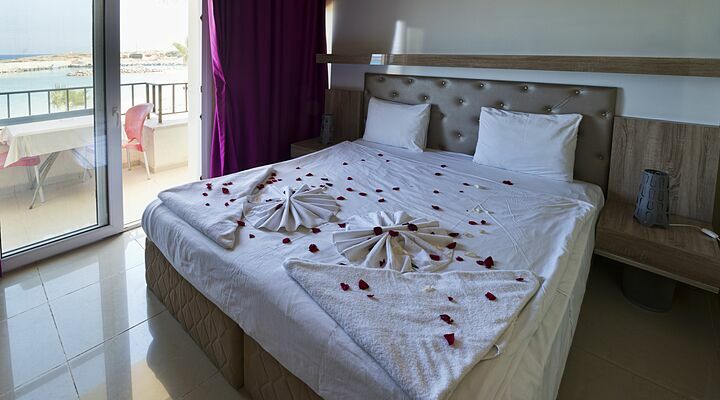 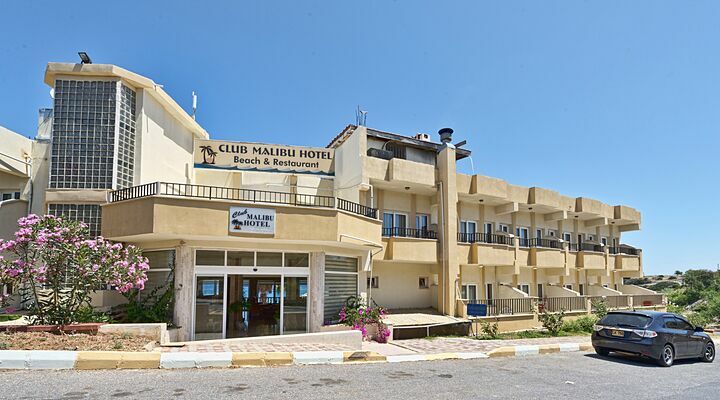 Sitting on the coastline of the unspoilt Karpaz Peninsula, the Club Malibu Hotel is so close to the beach, you can hear the waves lapping the sandy beach from your bedroom balcony! 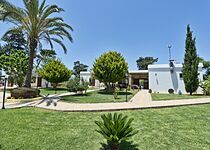 A traditional two star family holiday hotel that is genuine, friendly and good value for money. 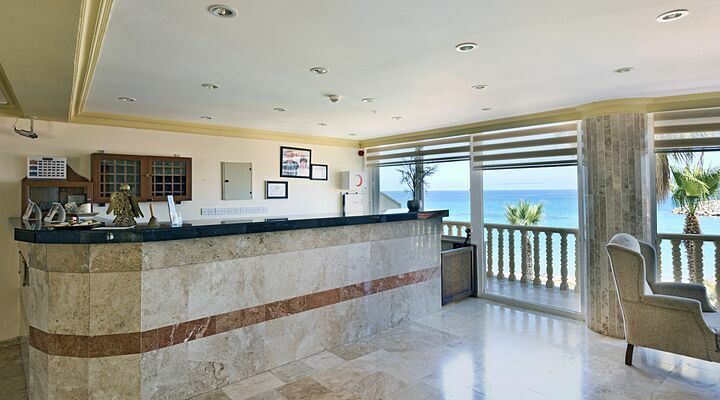 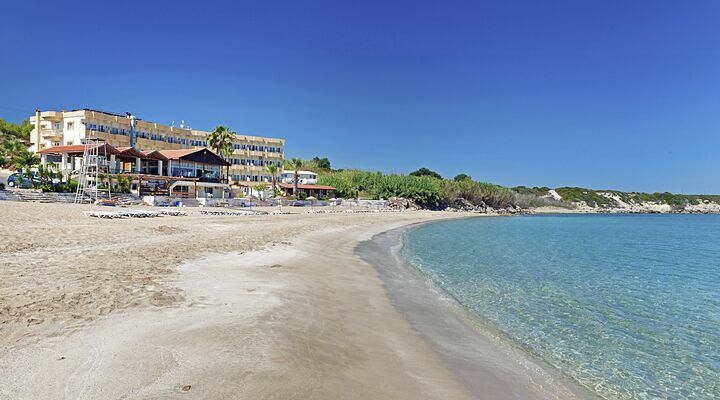 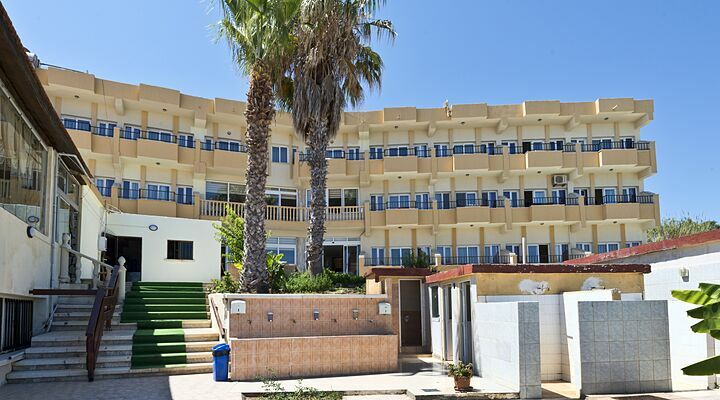 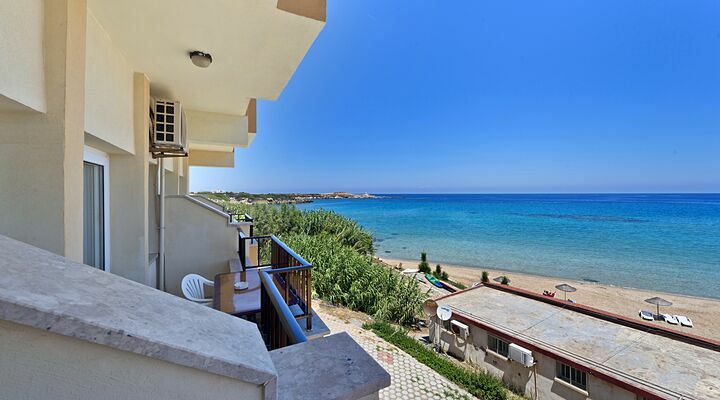 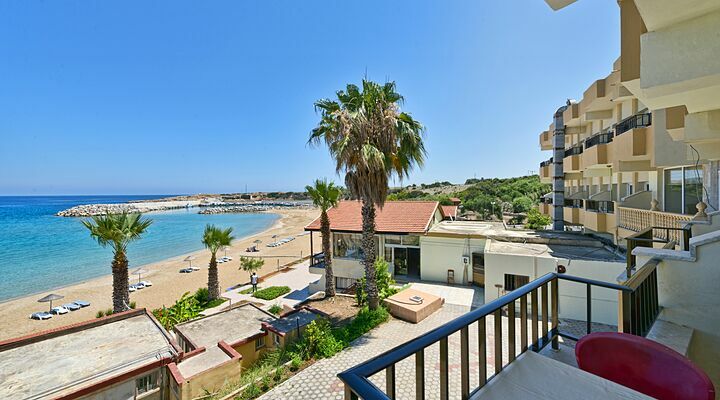 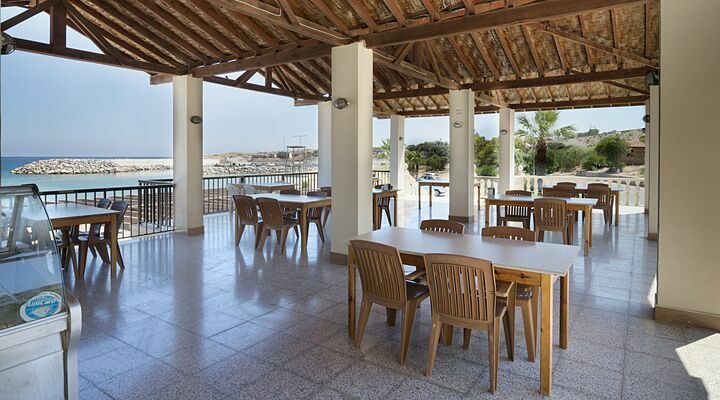 Nestled on the coastline of the rugged Karpaz Peninsula, the low rise Malibu Hotel is ideal for a relaxing family holiday away from the hustle and bustle of the busy main north coast. 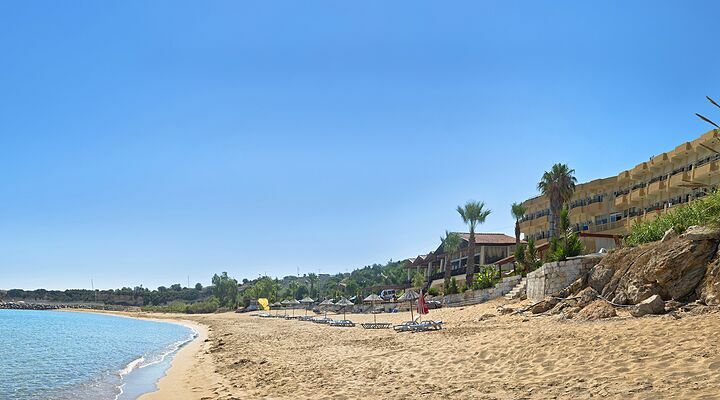 Enjoy the sun, sand and surrounding countryside, and recreate those great Mediterranean holidays you had as a kid! 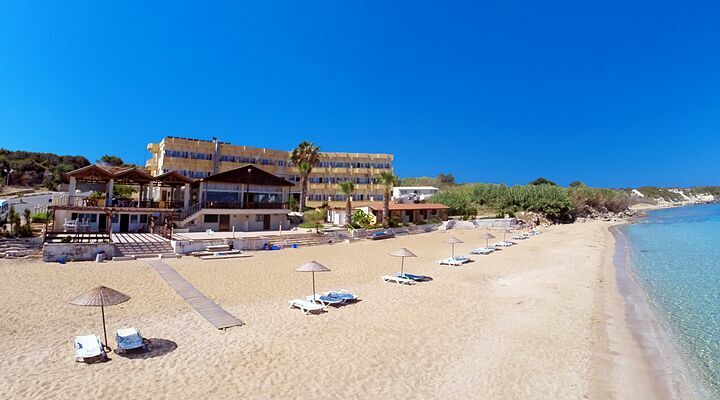 The Malibu Beach Hotel sits in a sheltered bay on a gently curving sandy beach, with views out to sea (next stop, Turkey!). 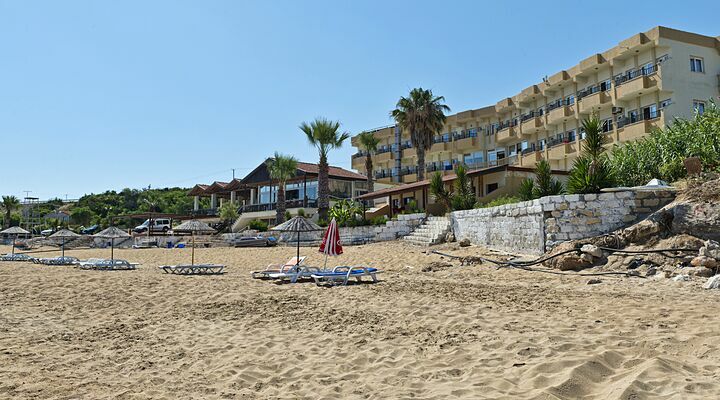 Saunter down the terraces from the hotel to the beach, with no busy roads or traffic to worry about. 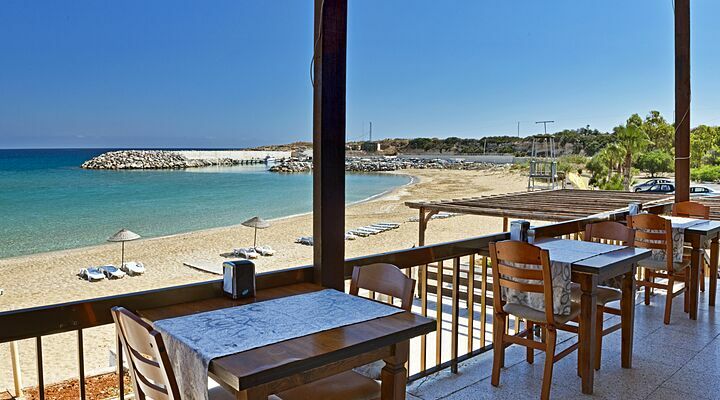 Sit back and soak up the sunshine, paddle in the warm shallow waters, or stroll along the beach to see the boats bobbing in the little harbour. 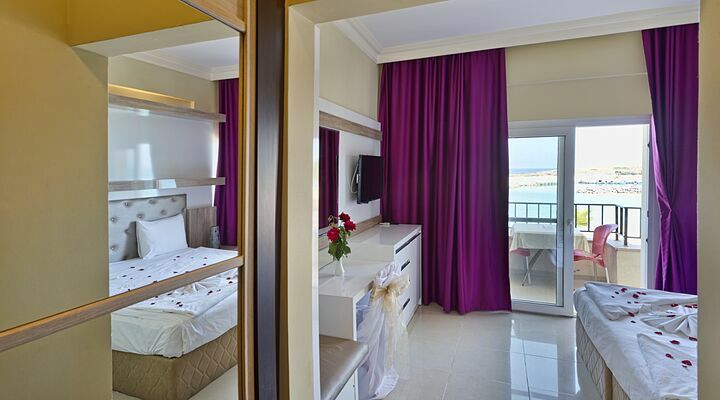 No need to pack heavy bags for the beach; your hotel room is literally behind you, cool and ready for an afternoon snooze for tired little ones (or not so little ones!). 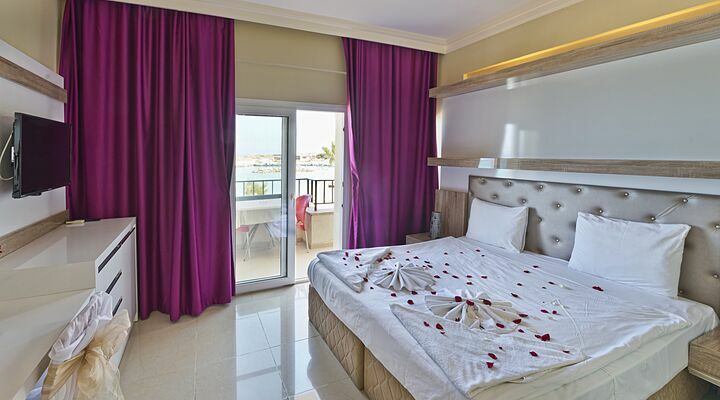 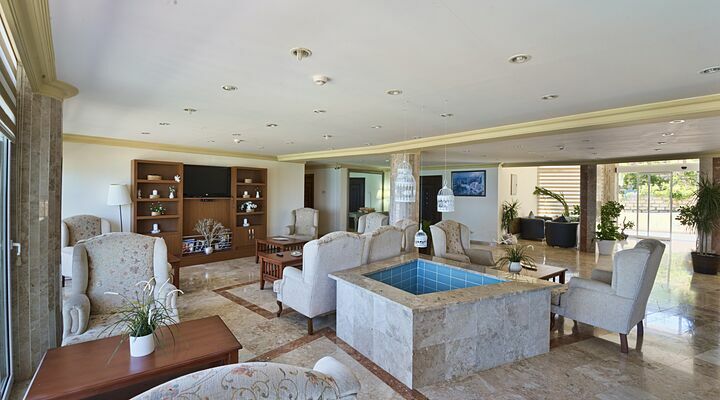 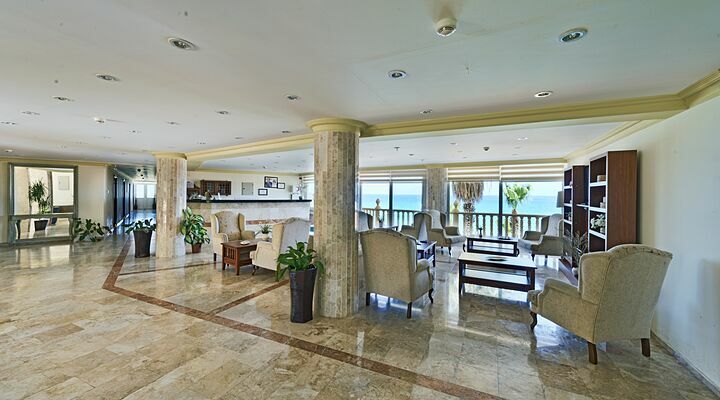 Rooms at the Club Malibu Hotel are light, airy and cooled by air con and sea breezes, so you can sit on your balcony and enjoy the sunsets across the water. 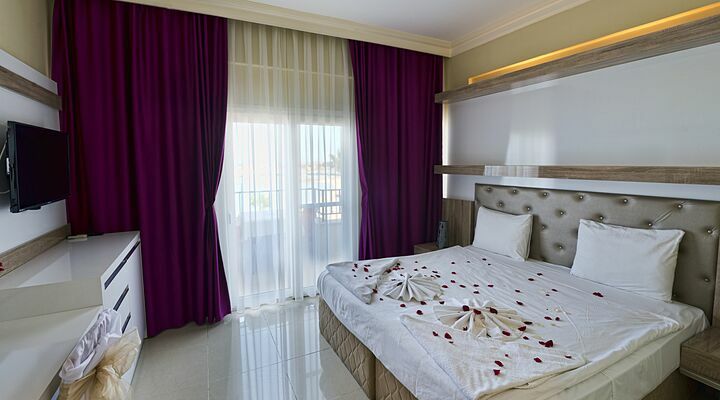 Clean, comfortable and with triple bed options for families, the bedroom offer just what you need for a fuss-free 2 star family hotel room. 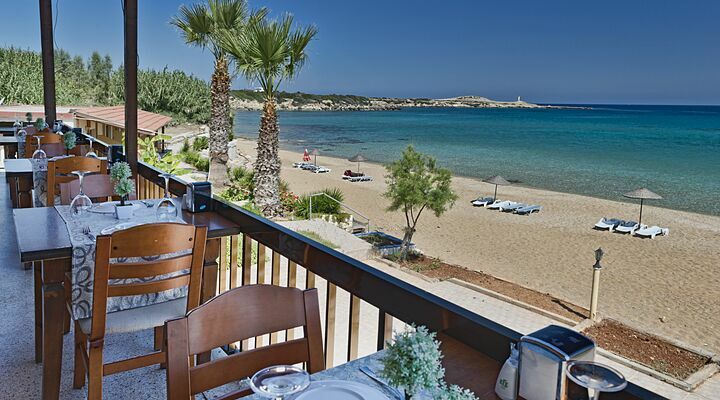 Why does food always taste better when you eat it by the sea! 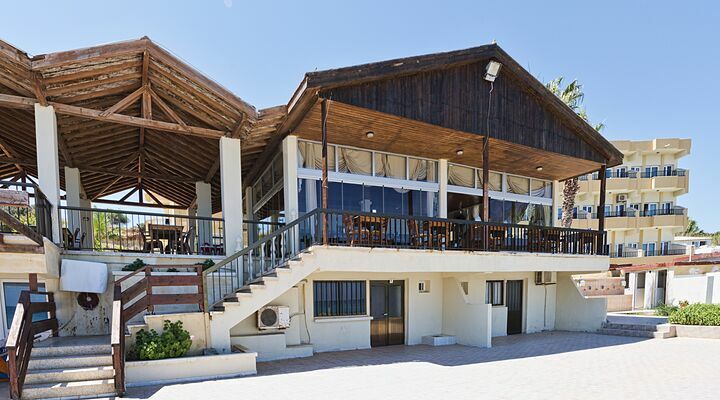 At the Club Malibu Hotel, meals are served on the shady terrace restaurant, an informal setting where you can enjoy good food or a cooling beer anytime. 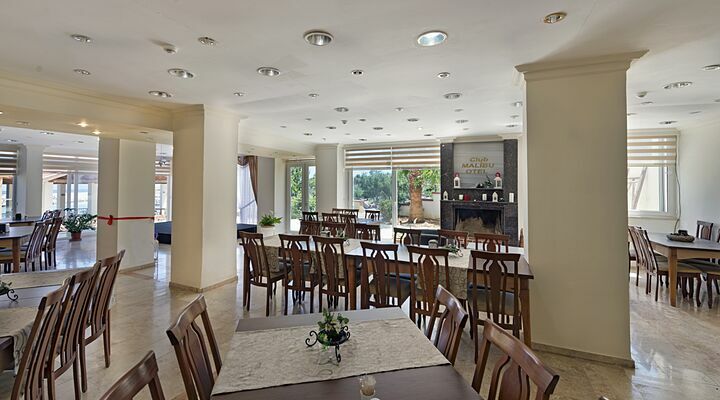 There’s also an cool and contemporary inside dining room. 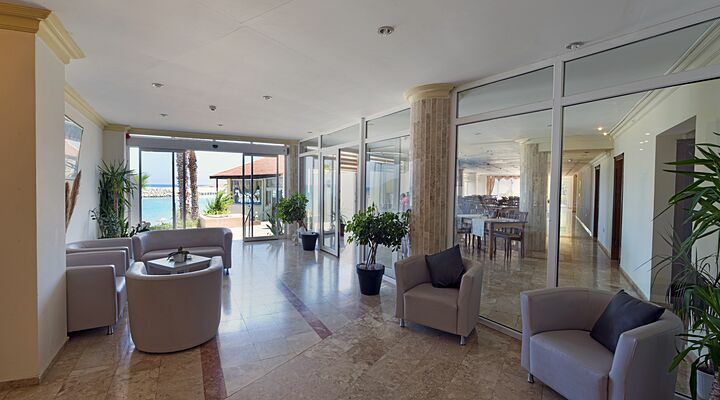 Just around the headland is the new Karpaz Gate Marina, a safe haven for super yachts and speedboats - and a great place to spend an evening or two! 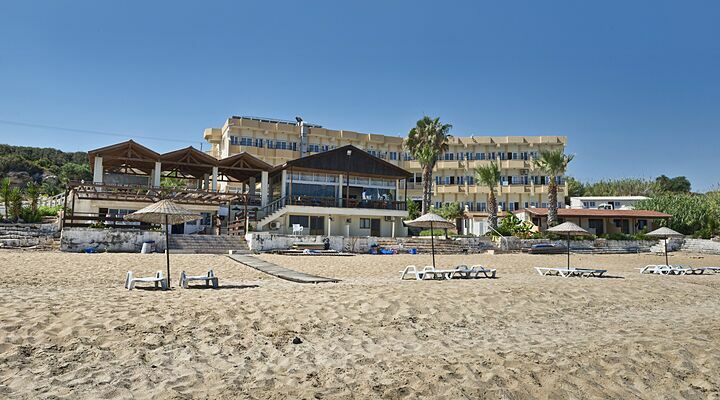 With a beach club, bars, shops, restaurants and night-time entertainment including movie nights, music nights, a sunset BBQ and even a kids’ club, you can enjoy the highlife without even owning a boat! 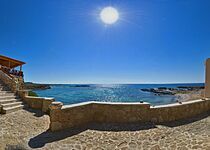 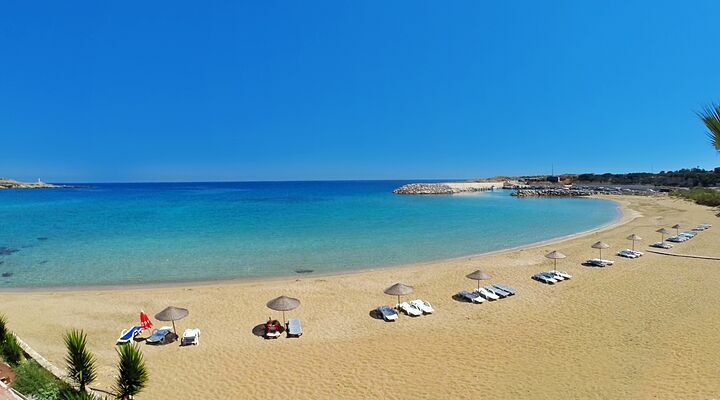 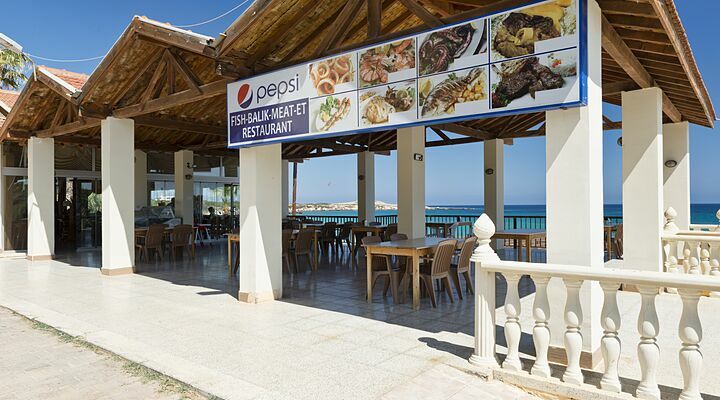 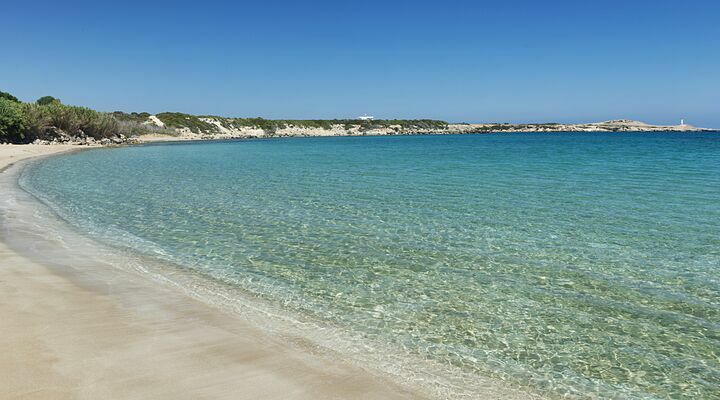 Simply walk back from the beach and you’ll be in the heart of the Karpaz Peninsula. 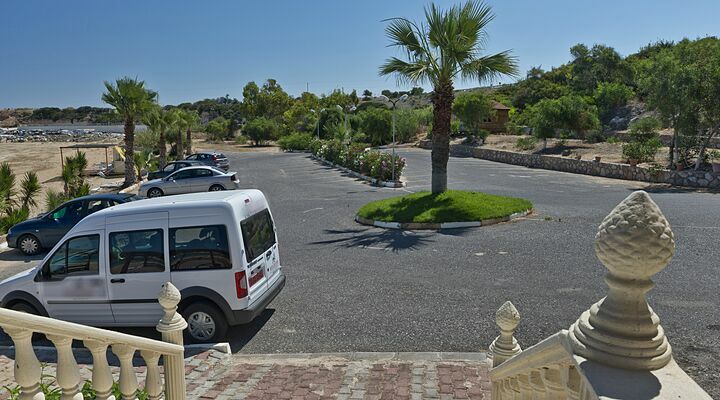 This part of North Cyprus is beautiful walking country, where you can wander through unspoiled countryside, discover ancient Roman ruins and deserted churches, or maybe meet one of the local wild donkeys. 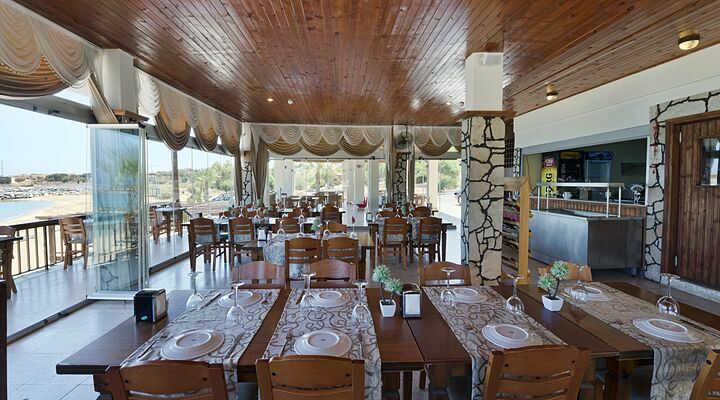 (Careful, they can be very grumpy.) 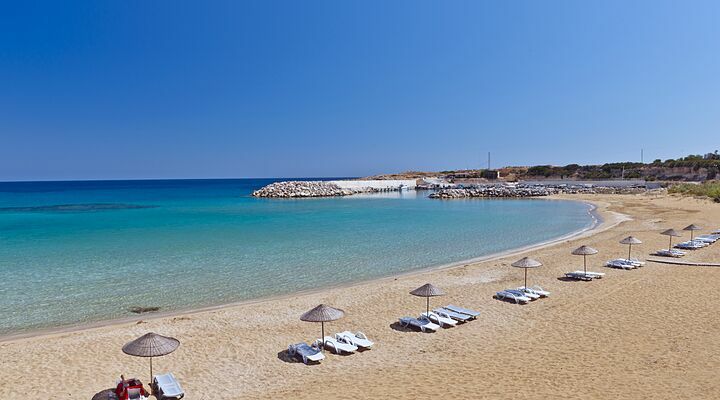 To discover the best of the Karpaz, ask at reception about guided walks, jeep safaris and turtle watching, as sea turtles love nesting on the long sandy beaches of the Karpaz. 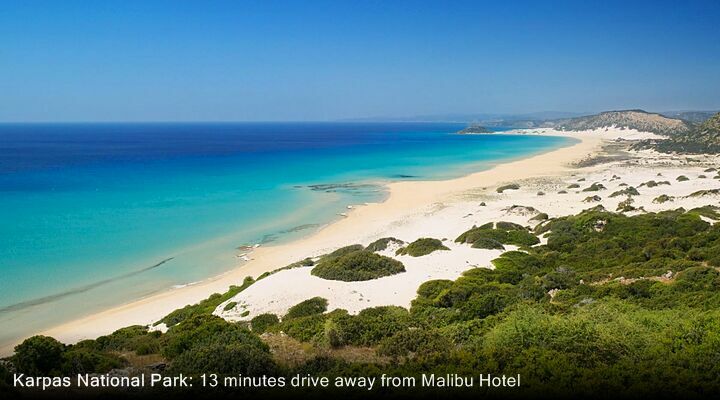 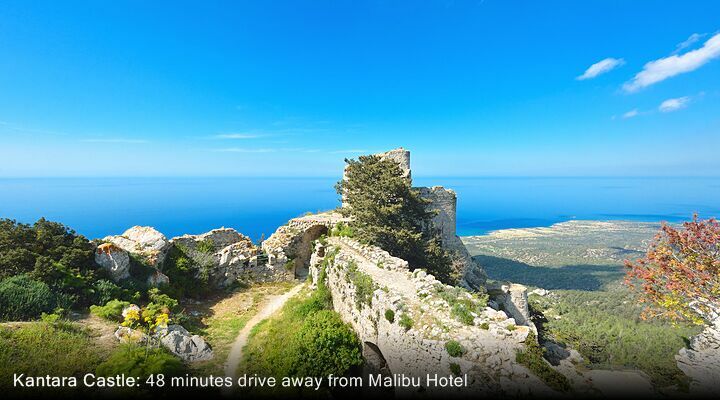 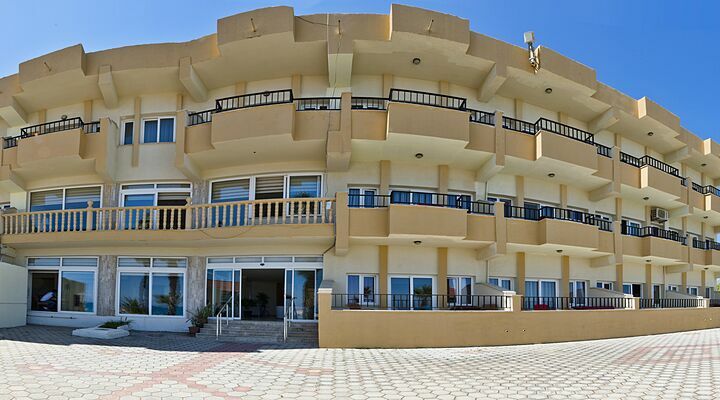 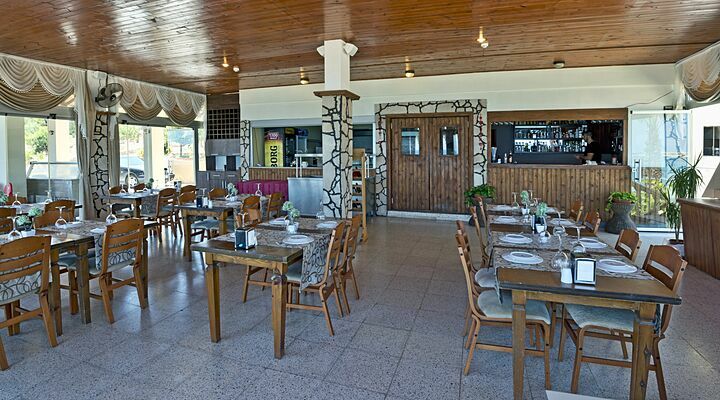 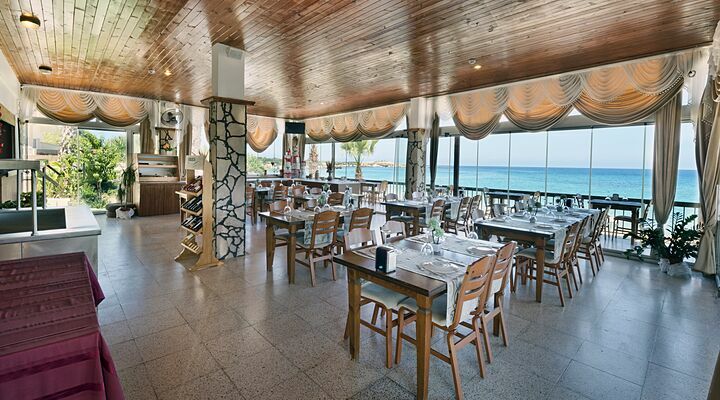 The Hotel Malibu is an easy drive along almost empty roads from Ercan Airport.